Fabric flowers are so fun to make and use to decorate tote bags, purses, headbands, dresses, brooches, you name it! 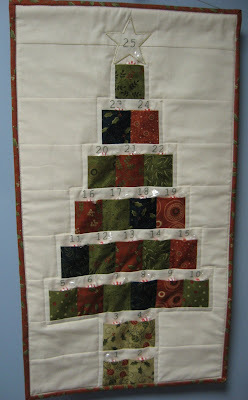 Here's a simple one you can make with just two charm squares or 5 inch squares of fabric and a button. But before I show it to you, I must ask that you pop over to RJR Fabric's facebook album and vote for the fabric flower you like best. I'm hoping of course that you like mine best, but if you like someone else's better, that's ok too! Really! I understand! So all you have to do to vote is click on the picture of your favorite fabric flower and then click LIKE. Feel free to leave a comment for that picture as well...everyone loves comments! 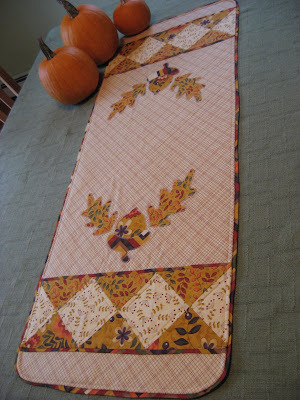 I used two charm squares from the Outback line by Jinny Beyer for RJR Fabrics. I plan to use the remainder of the charm pack to make a purse or tote bag to which I will attach this fabric flower. I am, after all, in desperate need of yet another tote bag! Ha! So here's how I made this flower...I set my straight stitch to the longest stitch length on my sewing machine and stitched an X on each of the charms, starting and ending each line of the X in a corner. I drew up the bobbin thread from both sides of each line as far as possible and tied a knot to secure the gathers that were made. Make sure to tie the bobbin thread and the top thread together on both ends of each stitching or your gathers will all fall off the other end! Then I primped and fluffed and fussed with the two gathered squares until I liked how they looked layered together, the green one being the leaves and the pink one being the flower. I tacked the two together in the middle and added the shiny gold button in the middle. This would also be pretty with a yo yo made of a third charm in the middle instead of, or in addition to, the button. And that's all there is to making a quick and easy fabric flower for your next project! Now don't forget to visit the Fabric Flowers photo album on RJR Fabric's facebook page and cast your vote by LIKE-ing your favorite fabric flower! I love the flower you made Mary grace.Beautiful! I was not able to vote.